This season, green is the new “in” neutral color to use and it’s popping up everywhere in the home! I really enjoyed reading House Beautiful’s March 2012 issue which talked all about the color green. I have always been and will always be a huge fan of green. I love wearing green, coloring with green and dressing my children in green which in turn probably led me to paint the walls in my house green too! Green is such a versatile color. It can be an intense warm color as well as a soothing calm color. 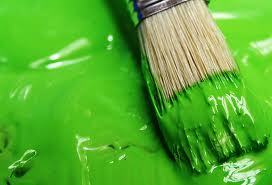 Green works well in kitchens, baths, bedrooms, living rooms, dining rooms, foyers, halls… and the list goes on! Green is also a very complimentary color as it works well against stained wood and also looks great against white trim. While green is such a terrific color, selecting the appropriate shade for a specific area can be tricky. Green should not be over used and cooler shades of green should be complimented with warm colors such as red, orange and yellow. Warm, more intense greens such as lime green can be stimulating and should not be used in a bedroom but works perfectly for a family room or playroom. When deciding on a specific shade of green, don’t forget to take into consideration the amount of sunlight the space has. 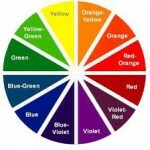 Make sure you view the color in the room during the daytime, nighttime and among artificial lighting. The color will also look completely different in different lighting as well as within different areas of the room! Seeing the color in different lighting and within different locations of the room will help you feel more confident about your selection of green. 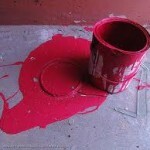 Decorating with the color red Help… all my walls are white and I’m afraid to use color!